Earlier this year, we rolled out a new product feature that had been kept under wraps while being perfected: text messaging (SMS) review request campaigns. The use of SMS marketing is something we’ve seen increase over the last few years, and nearly every industry has tested this type of customer communication out. 95% of adult Americans alone have mobile phones, with 77% of them being smart phones. This shows that regardless of your business’s niche or industry, your customers are likely interacting in some way via mobile phone. The entire purpose behind any feature we perfect and implement into our system is to ensure you — the customer — are on-par with the market trends and insights of the current and future quarter. We strive to beat the curve and train our customers on newly added features so that they can start reaping the benefits from the jump. review requests via SMS minimize the time spent between the experience and the request to review said experience. In this sense, SMS review request campaigns are no different. On average, mobile phone users spend 69% of their time engaging with digital media via their mobile devices. Translation: your customers are living in a mobile world, and we’re here to help you adapt seamlessly. What’s the one thing most people can’t leave the house (or office) without? Easy: their mobile phones. Additionally, having first-hand data supporting where their customers are engaging with their brand the most can allow businesses to easily create a solid foundation to grow a text campaign off of. The most accurate feedback is often collected moments after an experience occurs. The purpose of review requests via SMS is to minimize the time spent between the experience and the request to review said experience as a first-time or tested-and-true customer. 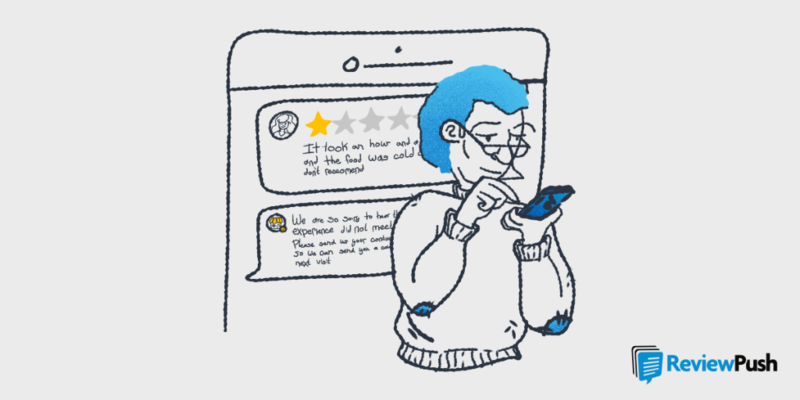 ReviewPush’s SMS review request campaigns allow you to customize the messages you want to text out to your customer base, and when. The most accurate feedback is often collected moments after an experience occurs, as the customer is still living out the experience. Their memory is sharp, and more importantly: they’re present. This is the best time to collect feedback, as it’s your business’s best shot at the most accurate user experience feedback you can collect. ensure your customers have opted-in for the use of their mobile numbers by your business. When you’re setting up any campaign within ReviewPush or additional software services you use, it’s crucial to ensure you’re compliant on all fronts. There are far more regulations to opting in than those defined through GDPR, such as The Cellular Telecommunications Industry Association (CTIA) and the Mobile Marketing Association (MMA). Though both association’s guidelines are not laws, they serve as best practices to be abided by, ensuring businesses aren’t abusing the access to a plethora of numbers. To ensure compliance within the CTIA guidelines, you’ll need to ensure your customers have opted-in for the use of their mobile numbers by your business; whether they’re a customer or not. This is not something we set up, but can help guide you through what’s best for your individual business. The CTIA also has limitations to the number of characters a business can send out via marketing efforts, such as review requesting. Also, and this is important: all messages sent to your customers who have ‘opted in’ must also be sent with an ‘opt -out’ option. Within our customizable dashboard, our users imply have to log-in to their accounts, and head to the ‘request’ tab on the lefthand side bar. From there, you’ll see that setting up SMS campaigns is done nearly identical to that of email campaigns. We strive to ensure our customers receive the highest level of service with a powerful software. 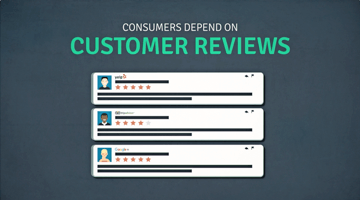 With ReviewPush, you can see just how the message will be received on a customer’s mobile phone, and optimize it based on your intended purpose and outcome. Once you’ve gathered your contacts within GDPR compliance, you can easily import a list, such as a CSV file, directly into the campaign; allowing it to populate in seconds with ease. We strive to ensure our customers receive the highest level of service with a powerful software that doesn’t come with a side of immense confusion and misunderstanding. You have the freedom to choose which landing page you want to send customers to, the body of the text within the messages sent out and much more. While there is a high cap on the amount of phone numbers each location for a business can have without additional charge, we believe this will increase the effectiveness of your campaign and the growth of your company. If you’re tired of researching SMS apps for your business, try a bundled deal with ReviewPush in your corner today.